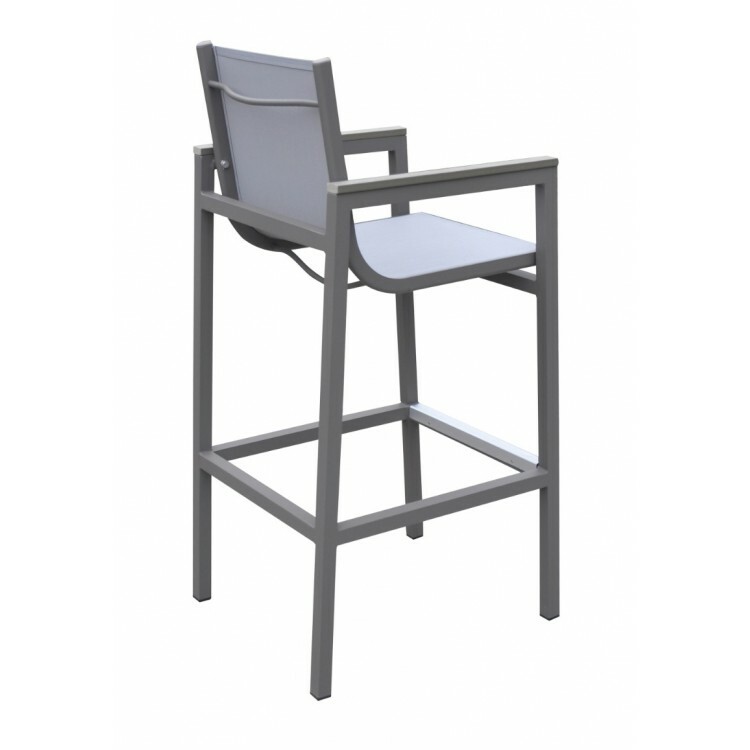 The Armen Living Marina outdoor patio barstool is a teriffic choice for any contemporary patio bar and seating arrangement. 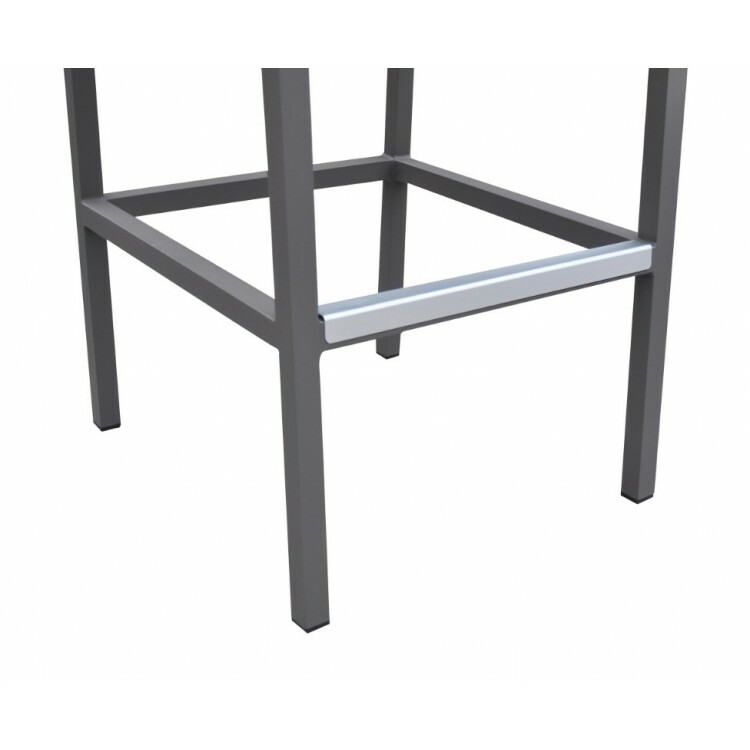 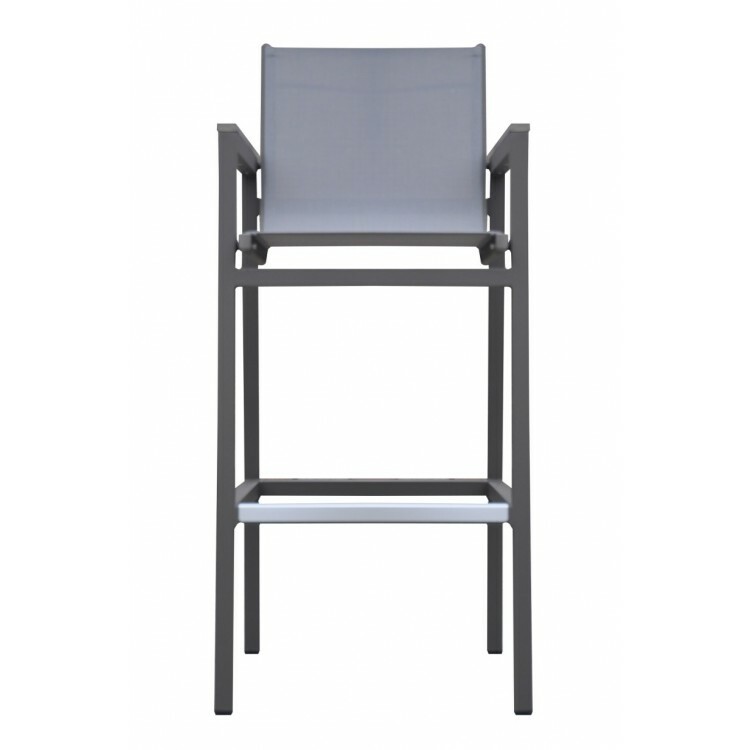 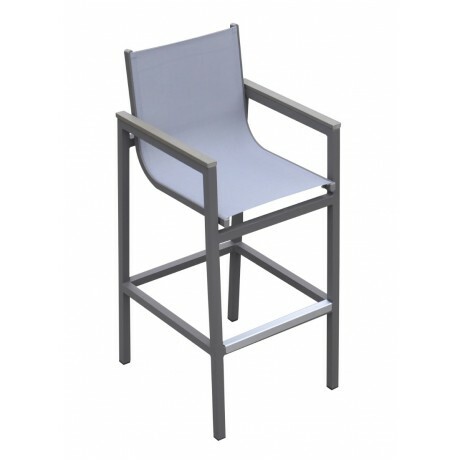 This beautiful grey powder coated barstool features a durable aluminum frame, allowing for easy arrangement without compromising on dependability. 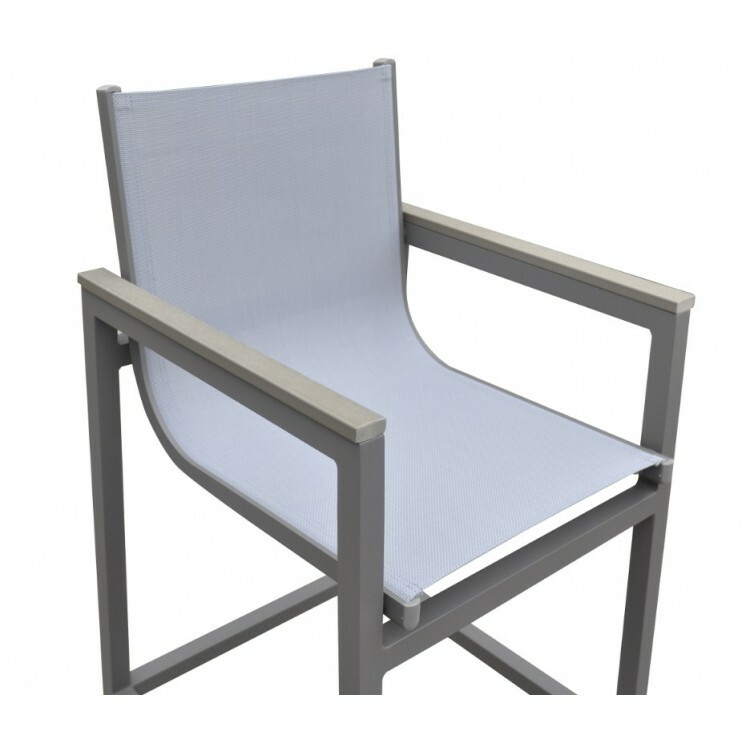 The Marina's seat and back are upholstered in grey sling textilene mesh that provides a great deal of comfort and support. 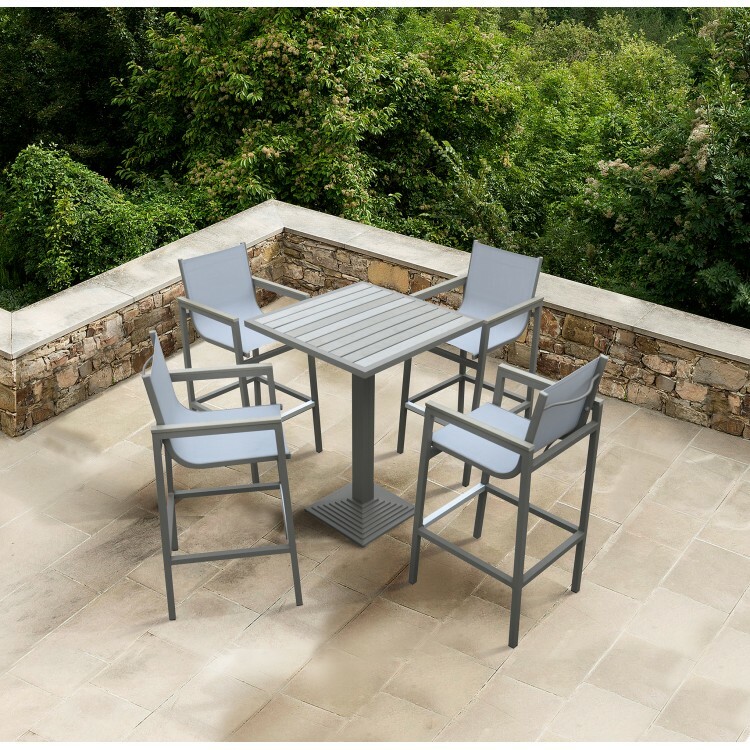 Featuring grey plastic wood accented arms and an added footrest, the Marina is the perfect outdoor comfort product. 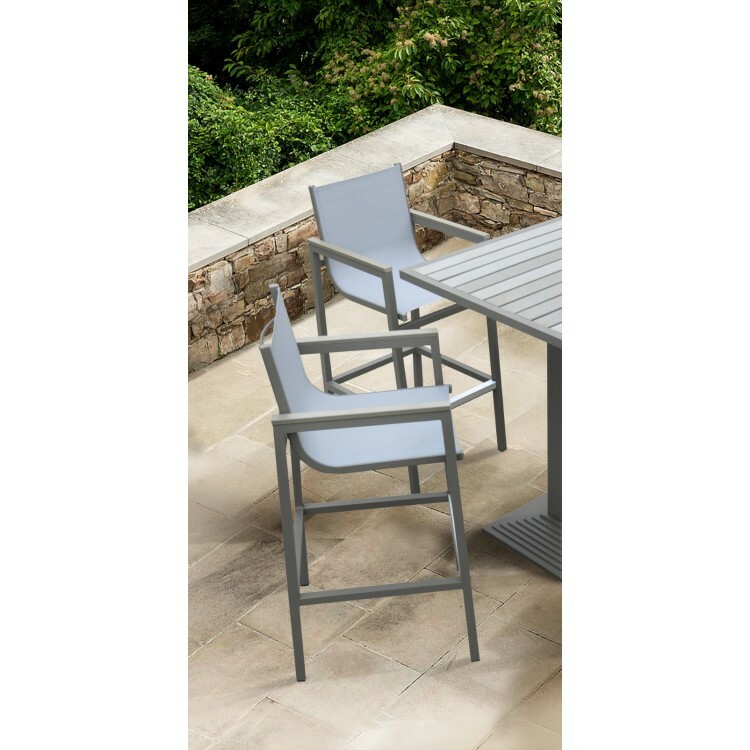 The Marina is available in bar height and comes in a grey powder coated finish.